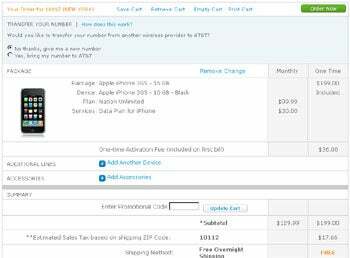 AT&T Sets the Date for iPhone MMS. Whoopee? Ladies and gentlemen, prepare yourselves: We have a new twist in the slow-news-day-driven mystery of the vanishing iPhone in the state of New York. 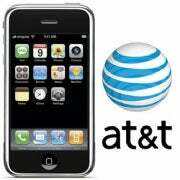 Let me get you up to speed, in case you've been busy eating fruitcake all weekend: AT&T, as the sharp-minded gumshoes at The Consumerist blog noticed on Sunday, briefly made iPhones unavailable for purchase throughout the state of New York. The issue affected only online sales; you could still walk into any store and pluck one from the shelves. You could also still buy one directly from the Apple Web site. But not from AT&T's Web site, gosh darn it. The plot thickened when an online customer service rep apparently told The Consumerist's sleuths the device was unavailable "because New York is not ready for the iPhone." Speculation soon started running rampant that the carrier was pulling the plug as part of a solution to its ongoing data overload. "We periodically modify our promotion and distribution channels." Ah, so that's what was going on. Wait a minute -- what? Fast-forward less than 24 hours to today, and boom: The iPhone in NYC is back online and in business. Going through AT&T's Web site as a new customer in New York presents no problems in ordering one of the temporarily elusive devices. So what happened? Well, clearly, AT&T was modifying its promotion and distribution channels. Either that, or maybe this was part of the carrier's alleged efforts to win that "Worst Company Ever" award I hear it's gunning for. Ah, but I jest; both of those explanations are equally silly. The actual truth is anyone's guess: a short-lived glitch in the system? A temporary supply drop at the online department's warehouse? An evil plot to join forces with the Grinch and ruin Christmas forever? Fill in your own blank. As for an official update, AT&T's PR team was not immediately available to provide an answer. But hey, cut 'em some slack. Modifying promotion and distribution channels all day would keep you pretty busy, too. JR Raphael is a PC World contributing editor and the co-founder of geek-humor site eSarcasm. You can keep up with him on Twitter: @jr_raphael.